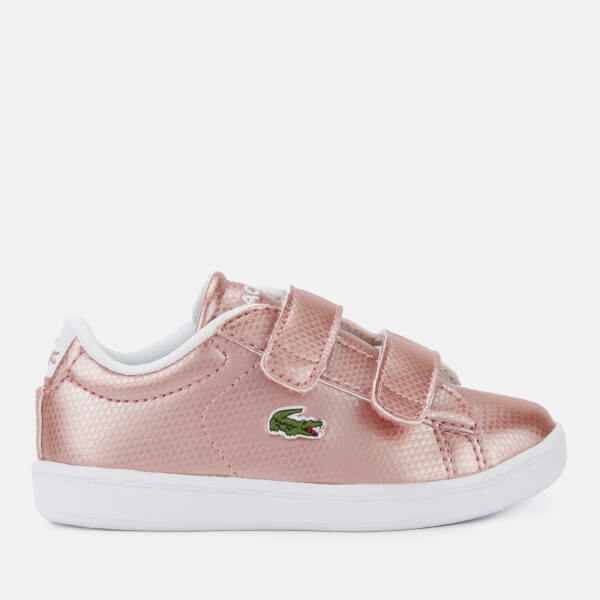 Lacoste metallic pink trainers with the brand’s iconic crocodile logo embroidery on the vamp. 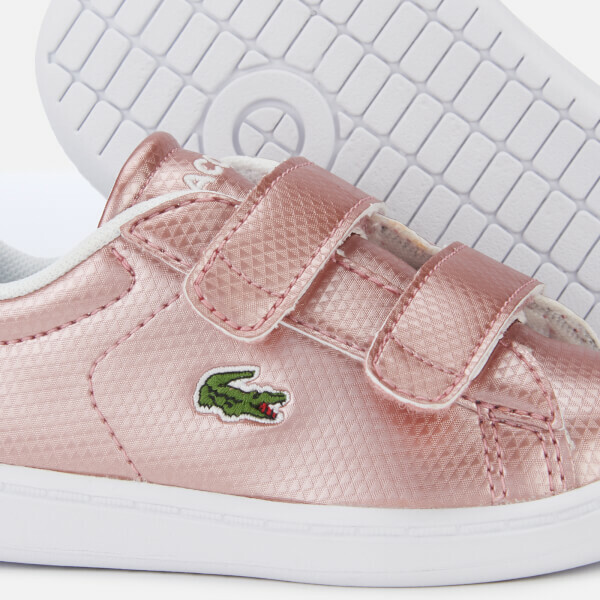 The kids’ 'Carnaby Evo' sneakers are designed with an all-over geometric print, an embossed crocodile logo on the heel and two Velcro straps to easily slip them on and off. 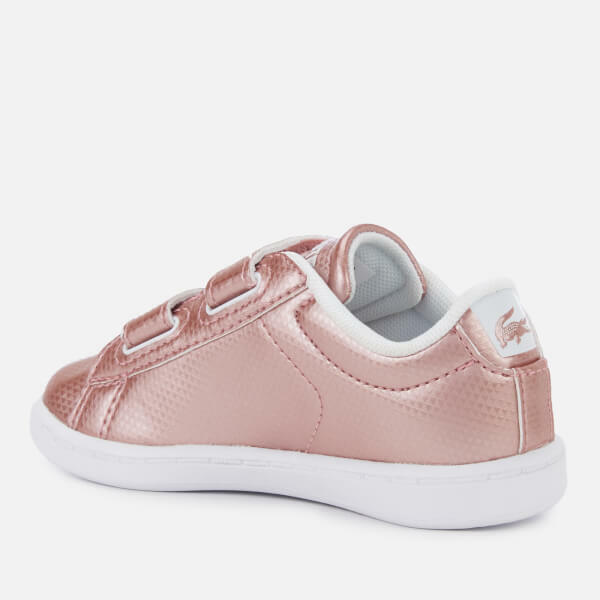 The lace fastened trainers sit on a white rubber sole with a textured outsole for increased grip. A cushioned Ortholite® foam insole provides long-lasting comfort and increased breathability. 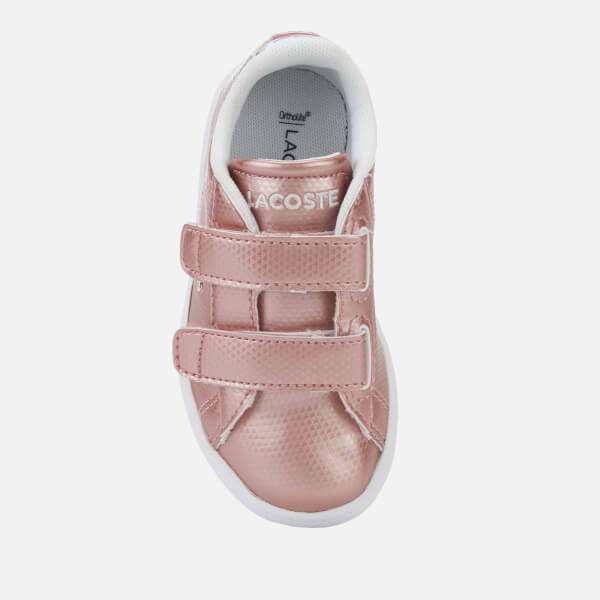 Embroidered Lacoste branding on the tongue completes metallic trainers.